Add sophistication to your walls with this exquisite cherry picture frame. Its curved profile is lacquered in warm cherry red with a stunning gold trim on the inner lip. It’s an elegant gallery wall frame for your latest canvas! Or choose it as a family portrait frame, wedding frame or vintage photo frame. Handcrafted by our Artisans from natural, sustainably managed wood. Custom sizes to 1/8th of an inch! Beautiful. Great service. Arrived in perfect condition. Because it was so well packaged, it arrived in perfect condition. Buyer should be aware that this is a cherry lacquer. Hard to tell from the pictures but it is beautiful! It has a formal, shiny finish to it. Very happy! 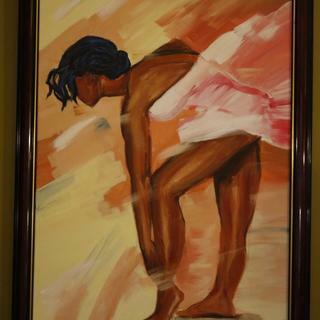 We ordered this frame in 18x24" size and it was delivered quickly and well packed to prevent shipping damage. The color & finish match well with the photos on the website. Nice quality frame, not cheap plastic. Picture Frame provided a great looking and high quality frame and mat and backing cut exactly as I requested. 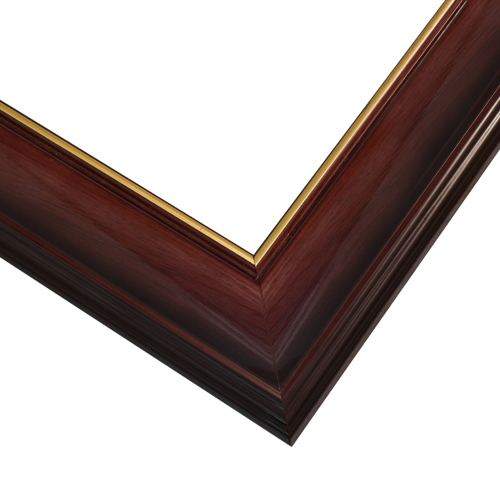 For higher quality frames there is not place better. I had an odd size matted picture to frame. I ordered a wood frame with gold trim. It was easy to frame my picture and looks like it was professionally done. Very happy! We could not be more pleased with the frame we purchased. The process from beginning to end was seamless, and the results were perfect. Thank you for a beautiful product and wonderful service. We will be back for all of our framing needs. Frame looks great, very clean lines. Fits the painting perfectly. Outstanding, high quality frame - dimensions fit perfectly. Was a great gift for one of my old diplomas that had a cracked frame following a move. Thanks! I like the rich appearance of the Framer's Choice frames. I have used them on a number of paintings. A beautiful frame that complements my images. I am hoping it will make my cross stitch look good. I have ordered this item before and it looks beautiful. Never ordered this one before. I hope it looks good. can this frame be for tabletop? BEST ANSWER: This frame is only suited as a wall frame. You can use it as a tabletop, however, we do not provide tabletop backing. Thank you! Is this a table top frame? BEST ANSWER: This frame is a wall frame. Thank you!